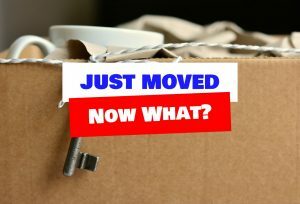 Moving is just one part of the whole process of relocation. Sure, it may be stressful, it may take months of planning and organizing, figuring out schedules and all the other minutiae. But in the end you have moved and now you are left to kick back and relax. Or are you? Honestly, your troubles don’t stop with the end of your move. The thing is that you are now in an awkward place. For starters, you are a newcomer to the neighborhood. Nobody knows you, and you know nobody. This can be an advantage sometimes, but when it comes to feeling comfortable, it is pretty bad. But we from H2H Movers are among the best moving companies in Chicago. And as such we are here to give you a few tips on what to do to make your arrival at the new place a bit better. With our advice you will get familiar with the place much more quickly. That is what you want, right? Go around your neighborhood and pinpoint all the shops, which may interest you. These may be your regular grocery stores, hardware shops, cleaning supplies, etc. However, we advise you to also visit local food places, like bakeries, burger shops and other similar places. You want people there to know you. Since they are not big businesses, you can get them to remember you after a couple of visits. Or if you are talkative, you can get noticed immediately. Just don’t try to fit in too hard. Be yourself and act natural. On a similar note – try to look for your regular service places like a barber’s shops, hairdresser, etc. These are very often the places where you will meet the locals, so maybe go for a haircut? Most people are pretty uncomfortable when they initially start exploring their new neighborhood. That is why they prefer to stay on the main streets, which are more familiar (or they get so more quickly, kind of like a self-fulfilling prophecy). But this is not how you actually get comfortable. Instead, try to familiarize with the small streets. Granted, you should do this at daytime, but still – do it. This can be pretty uncomfortable, which kind of defeats the purpose, right? Not really! Actually, people are generally nice to newcomers. So you may just approach them with a friendly smile, explain your situation and then ask for some advice. Maybe for the best hairdresser around. Or perhaps you need a local plumber, just in case. These things are important. You don’t have to dread the first weeks at living at a new place. Take it as an opportunity to grow and develop yourself. With the right frame of mind these few weeks will pass quickly and maybe they will even be quite exciting. An Eco-friendly Move – Is It Possible?